From time immemorial people seek to decorate theirDwelling. In the past, women wove rugs, embroidered tablecloths, expanded bed linens, napkins and other home textiles. Each girl was preparing a dowry, which included items for the house. Needlework is the most fashionable trend in ourTime and is called modern and in a foreign way - hand made. Such things are expensive, because the author's thing is a painstaking, laborious work in which the author invests not only his strength, his imagination, but also his soul. 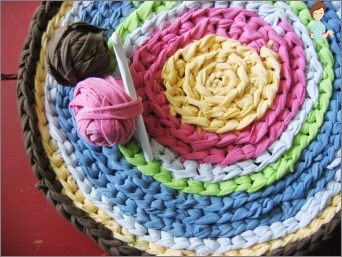 Today, of course, it is more convenient to buy, rather thanMake a napkin yourself, sew a beautiful tablecloth or pillow. Someone has enough money to buy beautiful designer things, and someone learns needlework for the home and the family with their own hands and it's no worse. In fact, everyone can become a designer of their ownHousing, the key in this business is dedication, desire and patience. Then everything will turn out, and the home will acquire a special, extraordinary atmosphere. Ideas are different, somewhere you need to adhere to strict rules if it is required by the concept of the interior, and somewhere you can be a little hooligan. 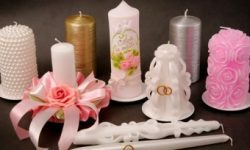 First you need to choose which kind of needlework yourHands you like: sewing, knitting, drawing, decoupage or something else. For example, you can start with sewing curtains for the kitchen, or sew tissue napkins that will repeat the color or texture of one of the Interior items. If your kitchen is decorated in country style, you can crochet an excellent tablecloth or napkins, which will be the highlight of the interior. In the concept of domestic needlework is not only sewing, crocheting their own hands, but also the performance of hand-made articles. Which can be not only the decoration of the house, but are also functional. Such can become the objects of needleworkHands for the kitchen: potholders, a box where you can put together a small change, jars for spices and cereals, etc. 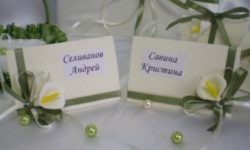 If you have a talent for drawing, then you can decorate the house with author's paintings, or, for example, paint yourself a plate according to the style of your house. 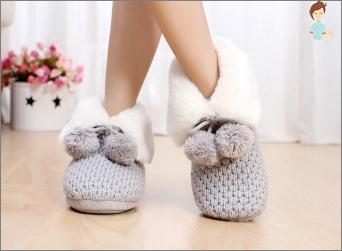 Performed warm slippers with their own hands will be able to warm the legs of the house on cold winter days. And sewn decorative cushions diversify the interior and bring it a special personality. In the process of converting a house you can drawChildren, who can be fascinated and interested in such an exciting activity as needlework. Stitched together dolls or stuffed animals can be a complement to the children's room. For the arrangement of the house there are many ideas,Some of them may be unusual and original. For their implementation, it is not necessary to buy expensive materials and fabrics, you can breathe new life into objects that have become obsolete long ago. In this case, no one even suspects that the sofaCushions made with their own hands from the fabric of an old coat are a sample of your needlework, and not a purchase. A merry mat in front of the front door, made of shreds of old things or a veil made of old cloth jeans can become the highlight of your home. On the eve of the winter holidays, we all wantBring a fabulous atmosphere to our homes. A Christmas wreath made by the hands made of a fabric of a fur-tree or ridiculous toys will give the house the brightest festive mood. If there is no experience of crocheting or knitting - notTrouble, now you can learn the skill of knitting with the help of a global web. 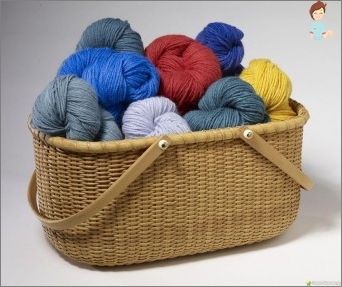 Here you can find master classes that teach knitting, sewing, and also you can draw a lot of ideas for arranging a house. If you are too lazy to look for something on the web - refer toTo elderly relatives! 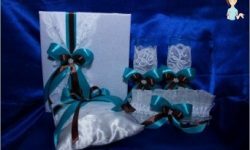 I am sure that your grandmothers and aunts will be delighted with your desire to learn from them the art of needlework and will gladly share their skills and secrets with swami. You can go on cutting and sewing courses, knitting and crocheting, or getting a personal master class from needlewomen or girlfriends. If you want, you can find a lot of ideas for their implementation! Needlework can be called one of the ways to combat depression and stress. The facts of the relaxing effect of crochet or knitting are proved, as well as the development of the mechanics of the fingers. Most importantly - your house will be special and creative, will always attract and attract with its comfort and coziness. After all, harmony, created with the help of needlework andHand-made objects, carry a special energy. Items of needlework can be passed from generation to generation and become a family heirloom. Enjoy your time and creative products!